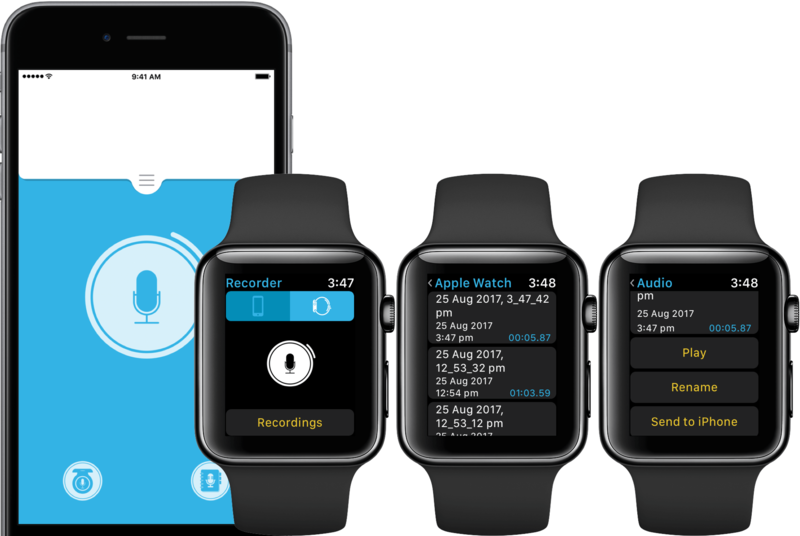 The potential of voice recording from your wrist is huge, as it certainly has been for years on iPhone and iPad. 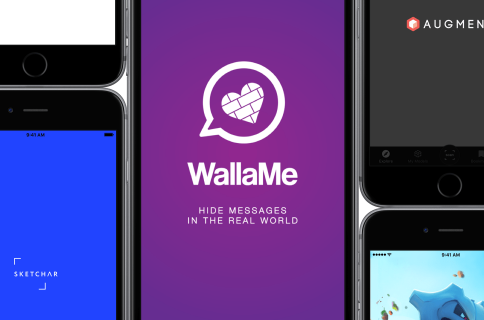 For that reason, Apple itself has equipped their iPhones with a stock memo app years ago, and here at iDB we have showcased the most compelling alternatives for iOS back in 2016. Alas, the Apple gods haven’t graced us with a similar stock app for Apple Watch yet and that’s in spite of the fact that for the longest time quality third party apps to fill the gap were few and far between. 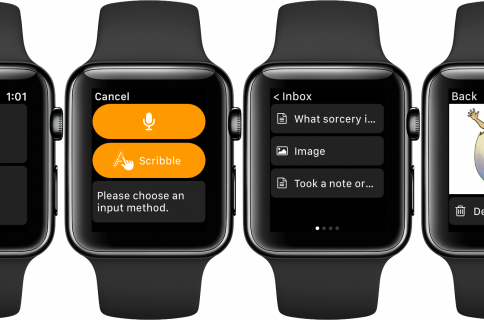 Fast forward to today and the app environment has changed considerably: a brief App Store search yields dozens of voice memo apps for your watch, all purporting to transform the wrist computer into a dependable recording device. Needless to say that only a handful of apps actually walk the talk. 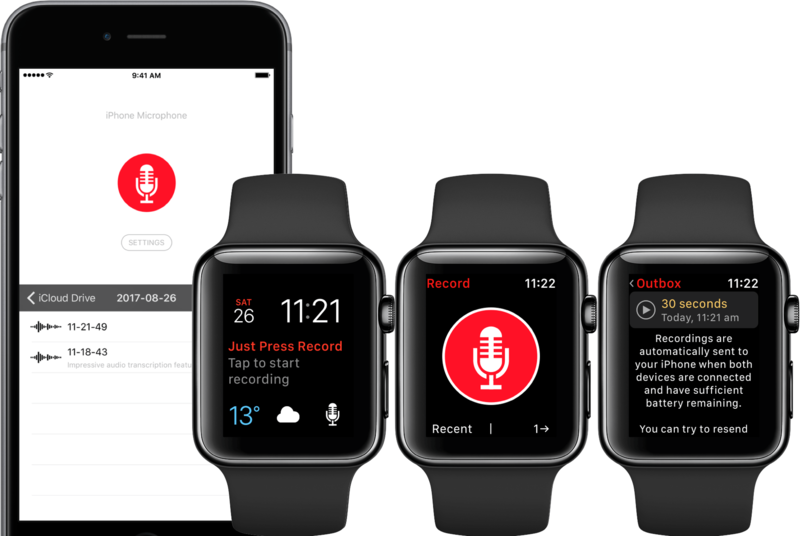 Between crashing apps, recording constraints and paltry data transmission to iPhone, here are the best voice recording apps for Apple Watch – of course always fitted to your budget. Simple Recorder is the precursor and love child of two other ‘pro’ recording apps, all offered by the same team of developers. Unlike them though, Simple Recorder does not ask for a sizeable (or any) upfront investment and yet delivers the goods. By goods I am mostly referring to 1) no artificial recording limitations being enforced and 2) a clean, ad-free surrounding on both Apple Watch and iPhone. This is despite the app not costing you a penny, which kind of makes this a unicorn amongst other free apps today. The design on Apple Watch is intuitive in that a main tab on top allows to select your recording and storage source (remotely activate an iPhone recording vs. record and store locally on your watch). Once the file is recorded, playback right from your wrist is available as well as the option to transmit the audio file to your iPhone in a wink. If you worry about the recording cutting out when you flip your wrist, don’t: like most apps now, Simple Recorder’s screen remains always on, right until you decide to abandon a recording. Irrespective of whether you recorded a file on Apple Watch or iPhone, the latter device collects all recordings, from where you can rename, edit and share your soundbites. Our second free app in the roundup, Voice Notes, rocks mechanics akin to those of Simple Recorder on Apple Watch, but adds a whole lot more depth to its iPhone application. Going ‘pro’ by means of in-app purchase mostly translates to ridding the app of the occasional advertisement, which are not overly bothersome on balance. Other than that, the investment is basically dispensable as most ‘pro’ features are readily available from the get-go. 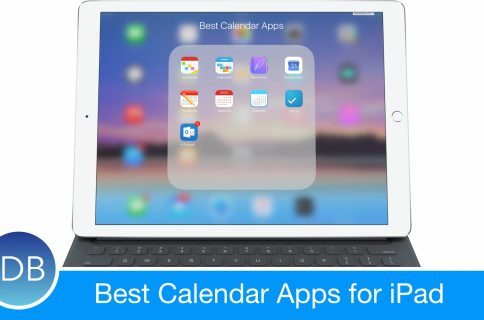 The more intricate features cover a lot of ground from iCloud integration, markers to quickly locate a a position in the recording, password protection, fast forwarding notes and even a calendar view on iPhone. With that, let’s briefly return to the focal point of this article, your Apple Watch. The app’s home screen consists of three simple elements: a text box calculating the remaining space on the device (generally handy for more than one purpose), a button to start taping and a neighbouring one to revise or replay previous recordings. 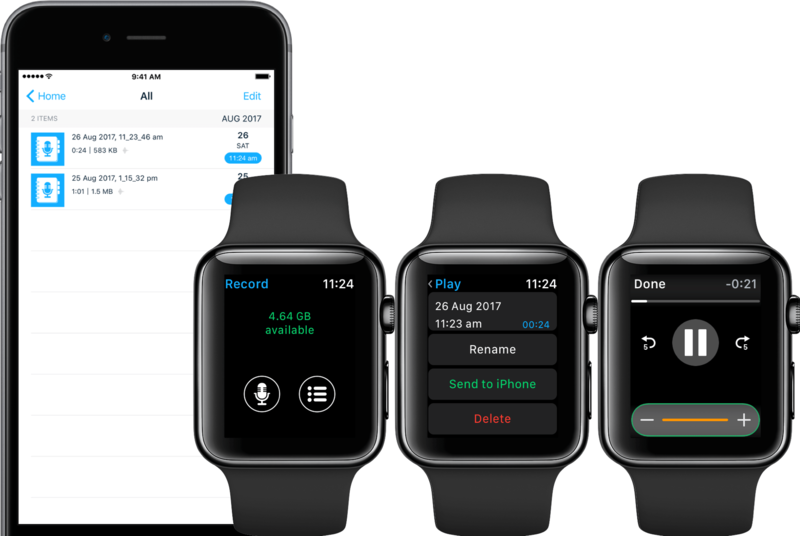 As the design dictates, all recordings initiated on Apple Watch are automatically stored and listed on the wrist device, from where they can be sent to your iPhone for further dealings. As with Simple Recorder, sound files can be indefinitely long and are only constrained by your device’s storage limits. Similarly, recordings will proceed uninterruptedly even if you tilt your arm. There’s a multitude of differently color coded Audio Memos apps on the App Store, with the yellow variant arguably offering the best value for Apple Watch and iPhone at a fair $0.99 cents. The maker’s revenue model is certainly interesting, as the app offers further in-app extensions all upgradable for $0.99 each (e.g. to add a search bar, position markers, adjustable speed selections) and as much as I don’t advocate that, the basic app comprises enough substance to keep up with the competition. Aside from iCloud and Touch ID integration for enhanced security, what really takes the cake in this instance is something as mundane as a Complications shortcut for your Watch Face of choice. While this should be an absolute no-brainer, you would be surprised at the number of recording apps dropping the ball on this little goody. 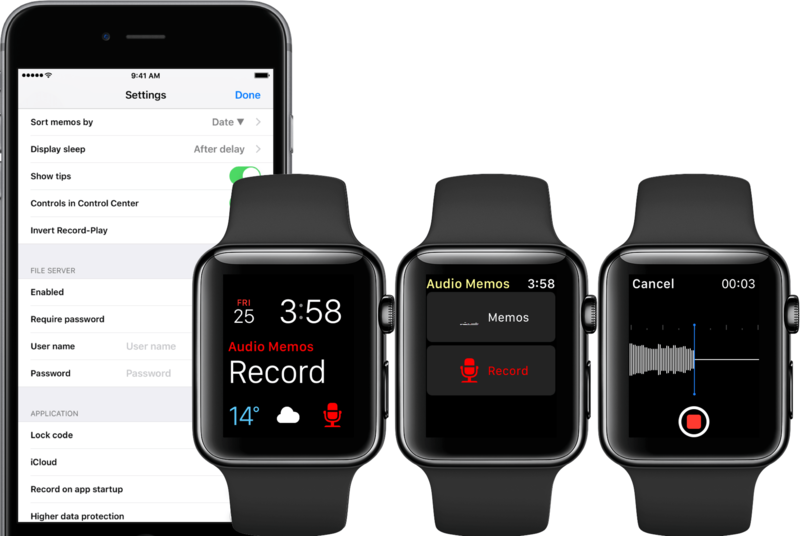 At the same time, Audio Memos somewhat fumbles it elsewhere, failing to include the option to store recordings on the watch itself. Yes there’s a memos tab and yes it will list previous recordings, regrettably though the actual files will already have been transferred to your iPhone and audio playback always kicks off on iPhone, even when prompted on Watch. This is a reckless and unnecessary omission, for it means you cannot leave your iPhone at home and listen to any recording on the go. Featured on iDB before, there is no way past Just Press Record if you’re not put off by the thought of spending five bucks on a powerful, innovative voice recorder companion. How do they justify the price tag in light of the cheap alternatives you ask? There’s multiple ways to respond to it, but the punchiest one is that the guys at Open Planet Software have fashioned an app that blends equal amounts of simplicity, expedience and ingenuity into software that, excuse the trope, just works. During set up, Just Press Record enquires if the user wants to store files locally or on iCloud Drive. Subsequently, the Apple Watch app both automatically deposits recordings in an outbox to be auto-transmitted to iPhone and keeps ahold of said file on the device under a Recent tab. This is for sure the most elegant implementation, killing two birds with one stone where other apps have you manage these things manually. Like Audio Memos, JPR thankfully too contains a Complication for your Watch Face. What’s more, and this is where we touch on the innovation part, is that Just Press Record is capable of auto transcribing your recordings, which is as equally cool as it is useful. As always, recordings are unlimited in time and cannot be discontinued through accidental wrist movements. If you’re willing to fork out $4.99 for your voice recording app, Just Press Record will not disappoint. SimpleMic takes its chosen name extremely seriously. That is to say, the iPhone interface is slick, catchy and gesture based, whereas the Apple Watch version is literally one red recording button. Whilst low key, it arguably ticks most boxes and could be all that is needed if you want to occasionally capture a brief moment on your Apple Watch. For its stellar design, SimpleMic would have been featured as a winner if it wasn’t for the stringent, arbitrary five minute time limitation enforced for each recording. This is it. After scavenging the App Store and attempting to give all apps a fair shake, the above ones came out on top in my books. As always, there is a good chance something deserving of a shout out slipped through the cracks, so don’t hesitate to hurl your faves at us in the comments below!